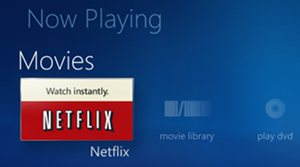 After a power outage, Windows Media Center (on Windows 7) started crashing whenever we would launch the Netflix plugin. After trying many things, the answer turned out to be simply deleting the temporary Internet files in Internet Explorer. This entry was posted in tech, tips&tricks, windows on September 12, 2012 by karl.kranich.